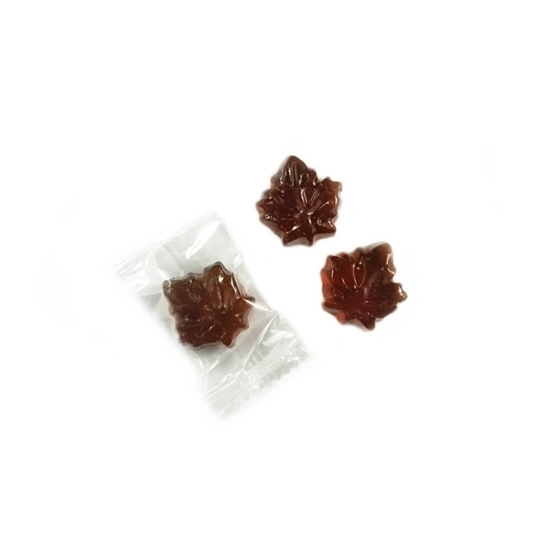 Maple Leaf shaped succulent hard candies! Made with pure maple syrup for a very intense flavour! Individually wrapped, approximately 6gr. each, about 75 pieces per pound.